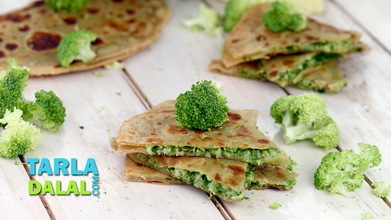 This recipe is for all those of you who wish to start the day on a truly snazzy note! 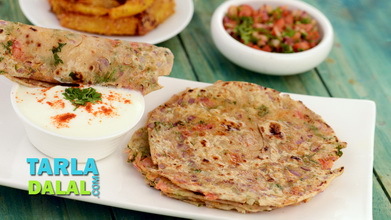 The super-yummy Chilli Cheese Paratha is packed with delicious ingredients ranging from cheese spread and mayonnaise to green chillies, capsicum and spice powders. Cheese and chilli come together beautifully to thrill your taste buds. 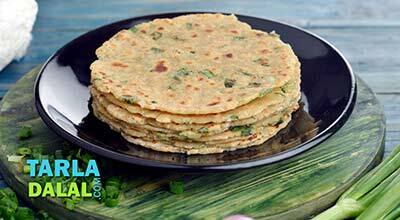 If you are serving to kids and feel they might not be up to the spiciness of this paratha, you can reduce the green chillies to a comfortable level. 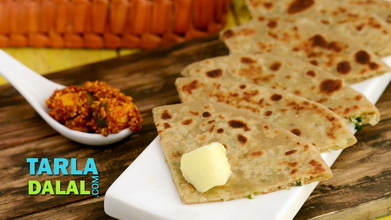 Enjoy these parathas hot and fresh to enjoy the cheesy spiciness! 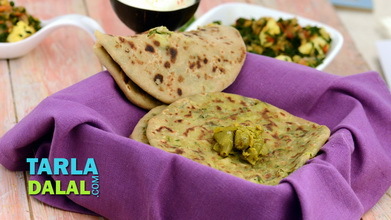 Have a go at more such recipes, like the Parathas Stuffed with Vegetables and Cheese or Cheesy Cauliflower Paratha. 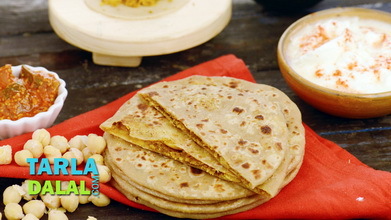 Combine all the ingredients in a bowl, mix well and knead into a semi-soft dough using enough water. 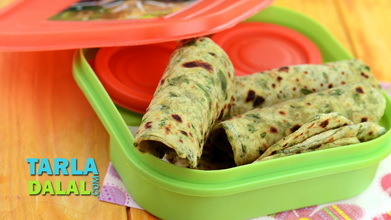 Cover with a lid and keep aside for 15 minutes. Roll out 2 portions of the dough into a 150 mm. (6”) diameter circle using a little whole wheat flour for rolling. 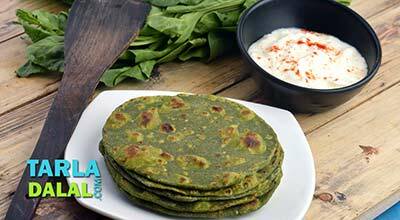 Place a rolled circle on a clean, dry surface, spread one portion of the stuffing evenly over it. Cover it with another rolled circle and press it gently to seal the edges. 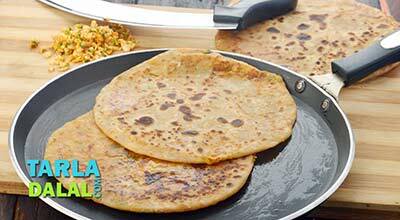 Heat a non-stick tava (griddle) and cook the paratha, using 1 tsp of oil , till it turns golden brown in colour from both the sides. 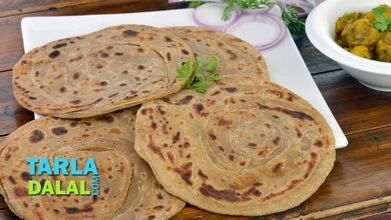 Repeat steps 3 to 5 to make 5 more parathas.